Auto Ventshade chrome tailgate handle covers feature a molded design that fits exactly over your truck tailgate handle. 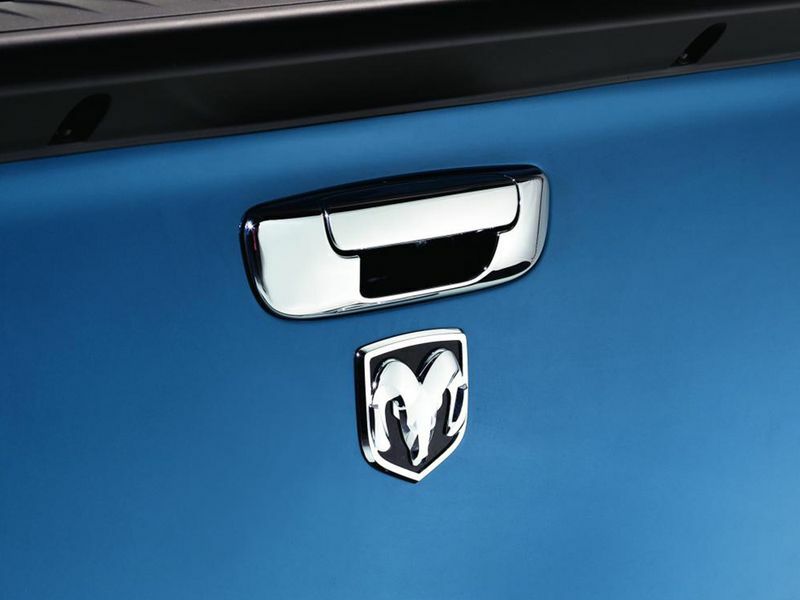 Custom molded from ABS materials, these tailgate handle covers perfectly match the contours of your OEM handle for a factory installed look and no hassle installation. AVS chrome tailgate handle covers feature a durable chrome plating that offers a highly reflective finish that will last a lifetime of use and exposure to the harshest elements. They offer easy, no drill installation using pre-applied automotive grade adhesive. All AVS chrome tailgate handle covers come ready to install with a handle cover and bucket. They are the perfect complement to the AVS chrome door handle covers and come backed with a lifetime warranty. AVS chrome tailgate handle covers are backed by a lifetime warranty. The AVS chrome tailgate handle covers offer an easy at home no drill installation using pre-applied adhesive tape. For additional information please call us at 1-877-216-5446 or 701-253-5906.